I realized this afternoon that I was two days late in submitting a photo to the American Bantam Association for them to print in the yearbook in recognition of my Master Exhibitor award (yay for me woo hoo!). 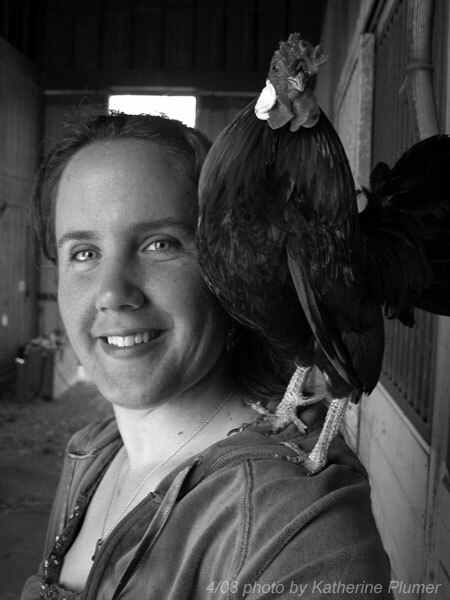 So I dashed outside and grabbed "Pablo" the BBRed Rosecomb rooster (this is the bird that took Reserve of Show in his younger days, and actually he's one of only three chickens that has a name around here!). He's sorta halfway tame. I took a zillion pics but most were pretty cheesy (what can I say, you know how the outstretched arm photos go!). It's quirky, it makes Pablo look enormous. Quirky is good. :-) Hopefully they will still accept the photo! 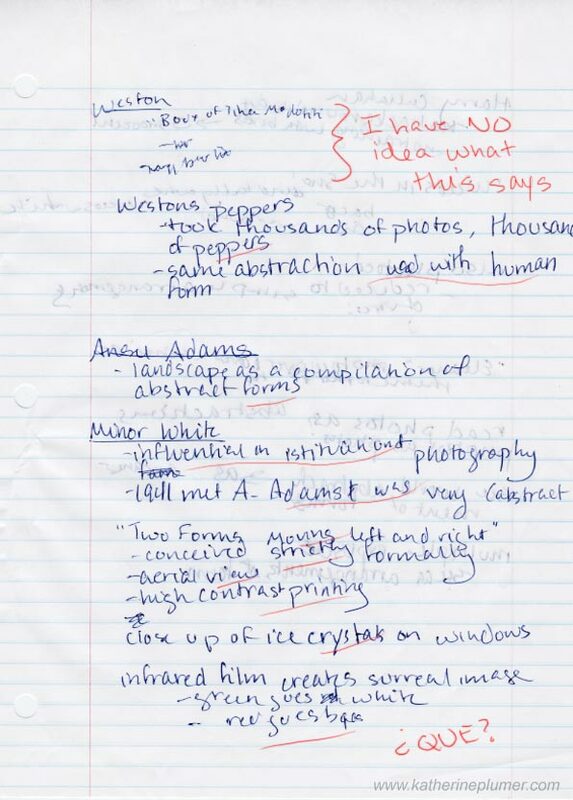 While working on the archeological excavation today I found some of my favorite lecture notes from college. Actually I found ALL of them (seriously why on earth do I need my chemistry lecture notes, I'd croak if I had to do chem again, out they go! I am keeping some of the avian science notes though). Anyway.. I was a good student. Very good. Graduated college in the top 5%, only missed a handful of classes, only deliberately cut class twice (once to go to Berkeley for the day (hi REJ!) and once because I knew I'd just fall asleep anyway). I did oversleep once though, set my alarm for PM instead of AM, oops! I had a horrible problem with falling asleep in art history classes though. And I had to take a lot of them as requirements for the major. For the most part, I didn't find them all that exciting, but I think it was more about the entire class being taught in the dark (slides and movies) and just being chronically exhausted in college. 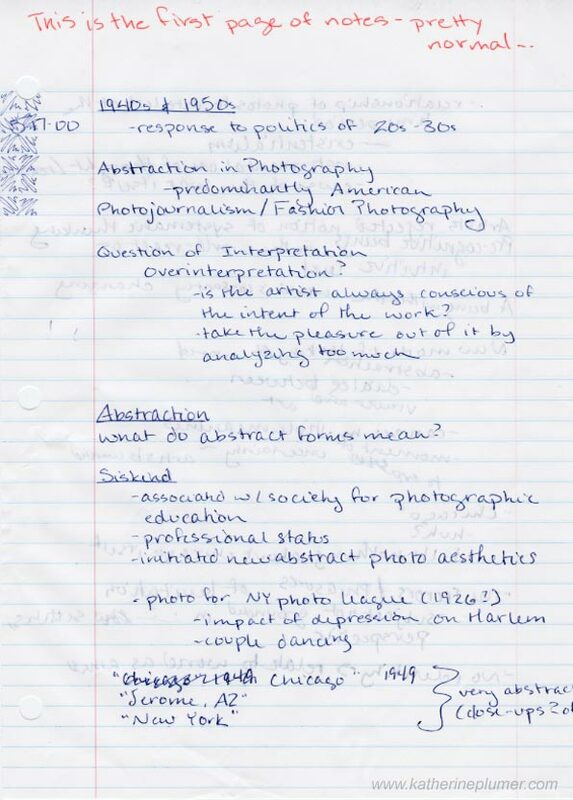 I took this class called history of photography one quarter, and actually a lot of that stuff interested me, not to mention I had a huge crush on the professor, but I'll be darned if I could stay awake. It was a 4-6pm lecture class, always dark, and I nodded off at least once EVERY class except one. And it was hugely embarrassing because I tended to sit up front in hopes of staying awake, and also to better ogle the prof. I always hoped he didn't take it personally that I fell asleep. So anyway the thing is when I fall asleep while writing, I actually keep writing. I mean I assume if I was out cold I'd stop, but if I nod off, the hand keeps going! 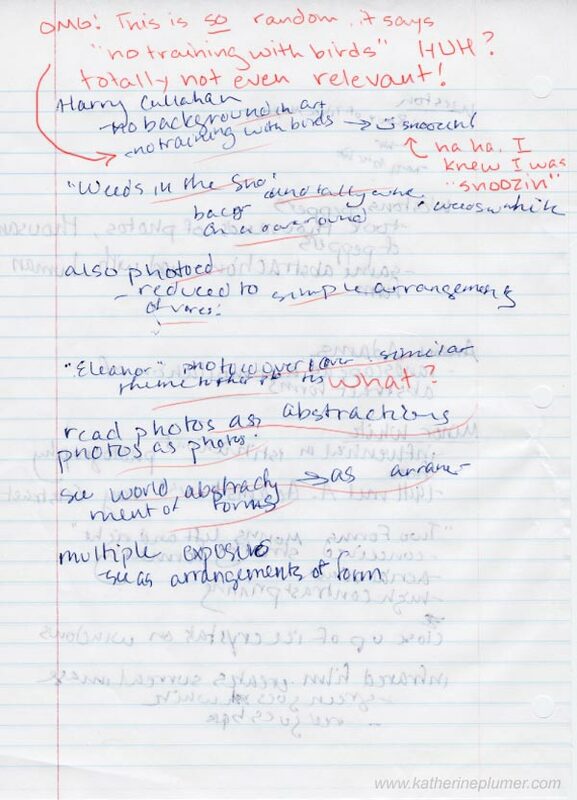 But my writing will get super messy and starts migrating upward. It's really funny. And I write some totally random crap on there that has NOTHING to do with the lecture. 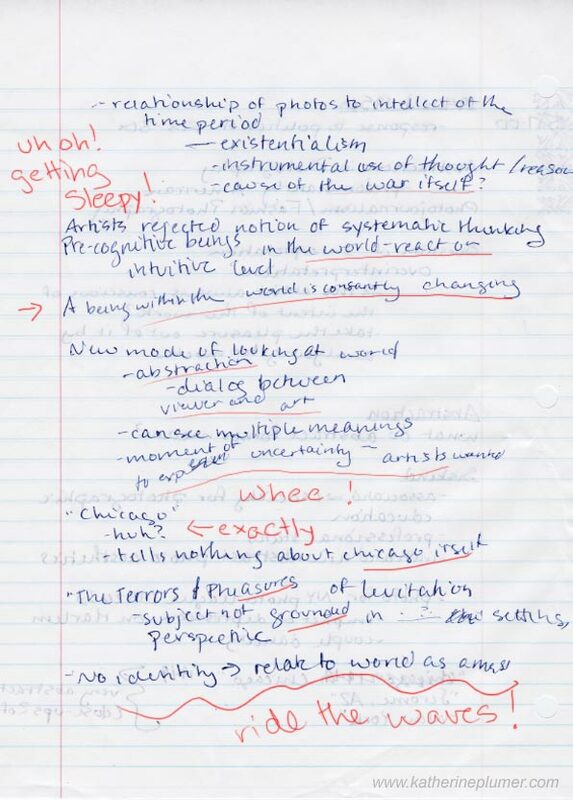 As an example, I am posting up the lecture notes from 5/17/00 which are probably the most stellar example of this unique (weird) little trait. I had to read through these and make sure there was nothing embarrassing, like "I (heart) so and so" For all I know there could be, there's a bunch of stuff I can't read. The red text is all what I photoshopped on there tonight. What a dork! Do any of my local friends need some spiral notebooks? I have a pile of them, most of which were less than half used and I ripped all the old notes out. I can't imagine needing them all, seeing as how I do the bulk of my writing right here (or in long winded emails). Free to good home. Hey! The latest SS is looking great! I can't wait to see it when it's done. What an ODD talent - writing while asleep! But wow, it would be a neat thing to do. I can imagine many times when I would have found that handy (hehe).